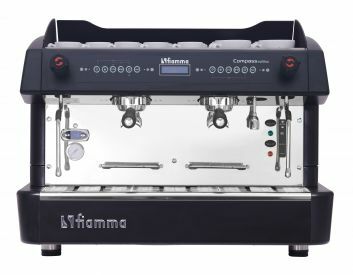 With the smooth and elegant lines of her curvy body, the Compass espresso machine by Fiamma combines design and state of the art technology, giving the barista perfect control over the coffee making process – perfect for high volume café’s and restaurants. 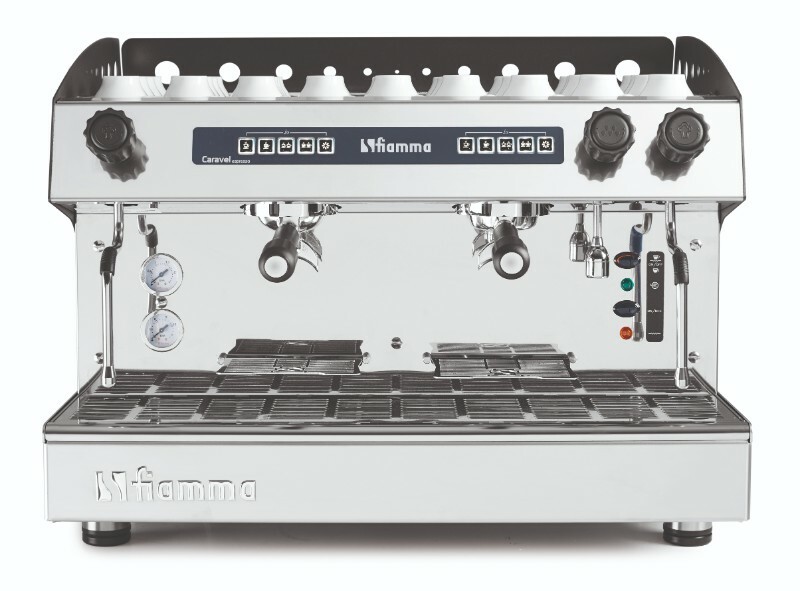 The Compass is an automatic, multi-boiler espresso machine featuring programmable touchpads that control the doses volumetrically, PID temperature control for absolute temperature stability and a central computer board that offers many different digital functions such as automatic dosing of hot water, time management and a coffee dosage counter. 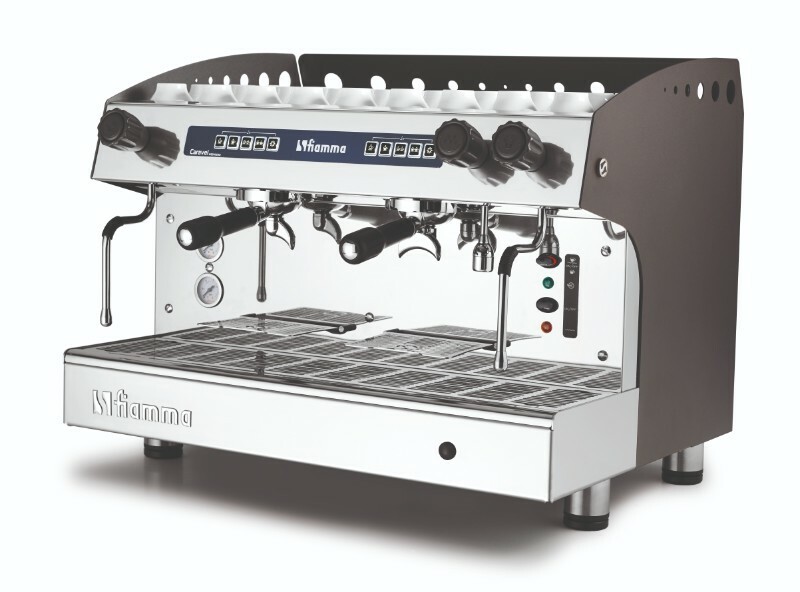 A reliable, powerful machine that prepares excellent espresso. Built with high quality components and robust materials, the Caravel is very durable. Available in a wide range of versions, always with an attractive and functional design. Mechanic system that guarantees an even and gentle pre-infusion for a delicious coffee. Programmable portions for coffee on each group (CV). Version with push-button for manual portioning.Easy to use, lighted keyboards with high resistance. Generous cup warming area. Automatic cleaning cycles for the groups (CV models). Work area that allows use of cups with up to 14 cm height. 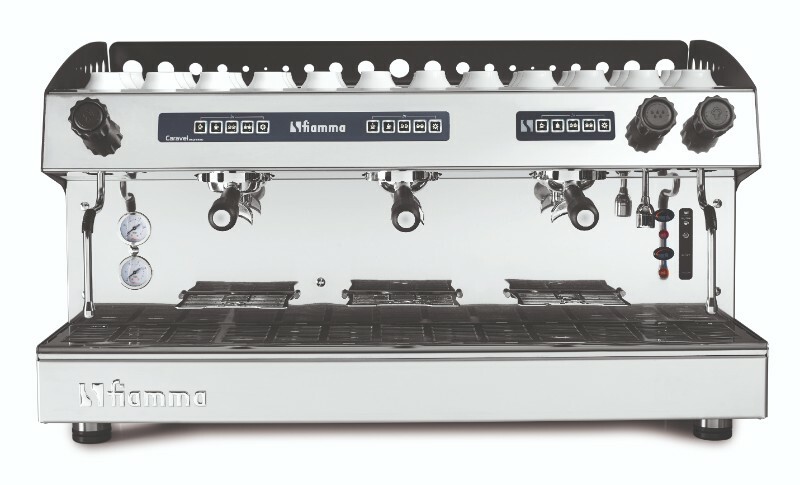 Handmade in Portugal for over 30 years, Fiamma espresso machines have a name that is synonymous with quality. What has kept the Fiamma name so trusted for so long? The barista’s assertion that the machine can be easily relied upon. They say that they can always trust the machine to align with their skills as a barista, that they know with each coffee they produce the machine will not let them down – it will create something spectacular. 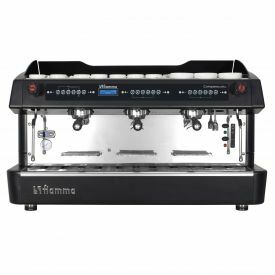 Browse the collection of Fiamma coffee machines for sale at Xtracted and please feel free to get in contact with our friendly team of staff if you have any enquiries regarding this popular espresso machines. Xtracted has built a reputation for providing our customers with the highest standard of service and communication. 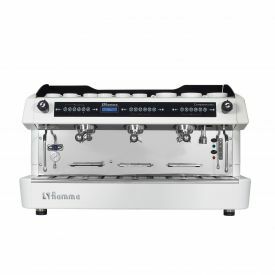 We are passionate about coffee, and share the pleasure a barista gets out of the use of a new machine. 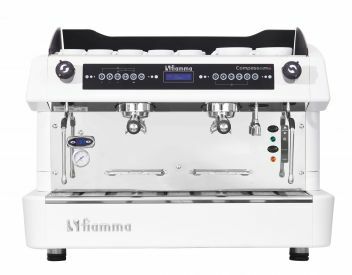 We love sharing our passion and knowledge for the brands we hold in our collection, whether it be La Marzocco, the Spanish Iberital, the eponymous Fiamma or even one of our highly efficient grinders. Xtracted is here to discuss our machines with you, one coffee lover to another.